Not everyone gets their career start at VOGUE. Ebony Bizys did. As her publishing story goes, Bizys' godmother was working in the production department when she suggested her young charge do some work experience. Bizys played her cards right, and was offered a part-time role on the title one or two afternoons a week, which led to a full-time role on VOGUE Living as editorial coordinator. By the time she moved to Tokyo in June last year, she had worked her way up to the role of Deputy Art Director. "I still miss it today; the mini-boards, designing beautiful pages, the smell of the printers at press-checks," she says. "Oh, goodness, the more I think about all the fun things I used to get to do, I think I’ll take the next flight home! Luckily, I am still involved with the VOGUE Living team and freelance with the VOGUE family." Lest you think Bizys' career coup was all a matter of good luck and fairy godmothers, the talented visual artist and graphic designer, whose mother owned a fabric shop and started her crafting in honour of her Lithuanian heritage at an early age, has a Masters in Fine Art (majoring in Painting and Drawing), though she concedes this didn't help much in the practicalities of running a VOGUE office. "When I started at VOGUE I couldn’t even scan," she says. As Deputy Art Director on the magazine, a role she secured after proving herself over a two-month period in Art Director Gemma Williams' absence ("Gemma taught me absolutely everything"), she was responsible for the overall look and design of each issue along with Williams. "Daily tasks involved designing pages, commissioning photographers, production meetings, photo shoots, press launches, proof checking, sending pages to the printer and attending press checks," she says. "One of my favourite tasks involved doing re-designs of the pages and magazine." Her favourite pages to work on? "My absolute favourite pages were the upfront ‘In Vogue’ trend pages produced by Alexandra Gordon. These pages were energetic and vibrant. They were like a little puzzle to layout. The process of putting together these pages was so enjoyable too. Alexandra would create a A3 ‘stick down’ of images and products she would like to showcase on the page, we would then call in products for studio photography, and once we had collated all of the imagery, we would spend an afternoon in the art department designing the pages over a cup of tea." Bizys describes working at the VOGUE offices at News Magazines, her second home for 11 years ("I probably spent more of my waking life there than at home, so perhaps it WAS my home! "), as "very creative and inspiring"; "a dream". While she once had her own "little clothing label", which she sold at markets and to a few boutiques, she wouldn't call herself a fashionista. "I usually wore something comfortable like dresses, lots of polka dot head scarves, and most importantly flats. A job in the Art Department on deadline means lots of walking to and from production with proofs. This walk involved stairs. Lots of them!" Parting VOGUE Living was sweet sorrow for Bizys, who long held a desire to spend time in Tokyo before biting the bullet as the cut-off age for the working holiday Visa she required fast approached. 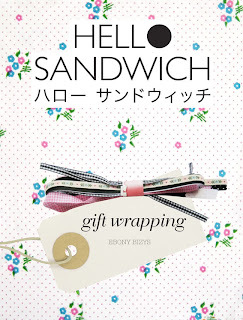 But much like fellow bloggers Susie Bubble (aka Susie Lau) and Tavi Gevinson (Style Rookie), whose aesthetic have drawn them legions of adoring online fans, Bizys has evolved into her own veritable brand, bringing her industry experience to the table at her Hello Sandwich blog. 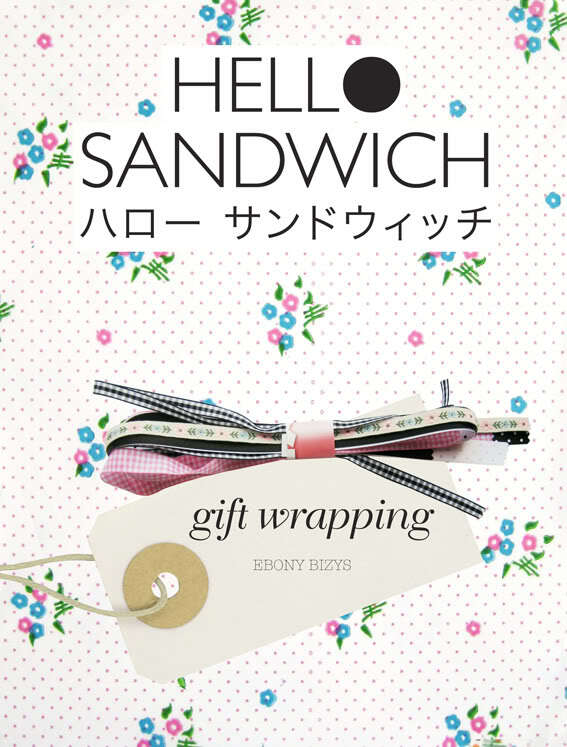 But she still has a passion for print, parlaying the blog into two beautiful self-published zines: the Hello Sandwich Tokyo Guide and more recently the Hello Sandwich Gift Wrapping book, both available at Big Cartel. "If you work in magazines for 11 years, it’s impossible to imagine a zine in any other format," says Bizys. "I will love print media forever. Although I always print 1000 of my zines, I offer a PDF option as well, which is especially good when the zine sells out of their print run." When she's not blogging at Hello Sandwich, where she collates and publishes all of the things that inspire her on a daily basis, filing her 'Tokyo Column' for Michi Girl or selling her zines and complementary wares at craft fairs (recently the Tokyo Art Book Fair and D♥Y craft event), the busy Bizys hosts workshops and takes on freelance consulting and design commissions. "Since living in Tokyo I've been Art Direction Consulting for a launch magazine at Conde Nast Publications, China, and Art Directing an interiors book for Japanese company Editions de Paris," she says. 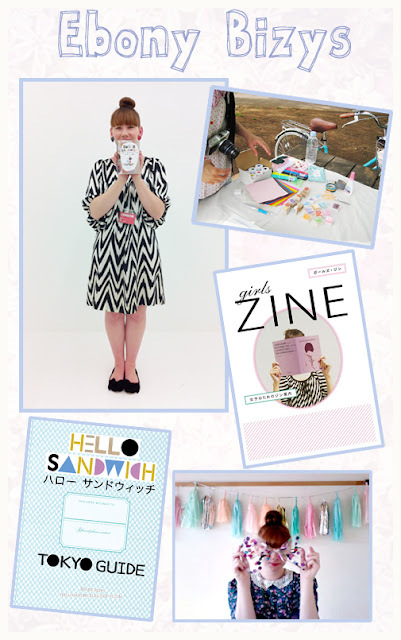 "I was lucky enough to be commissioned to make an artwork (a little paper bento box) for the May issue of VOGUE Japan [aka VOGUE Nippon] and this month I will start blogging as a Style Blogger for VOGUE Japan – only it’s in Japanese – eeep!" 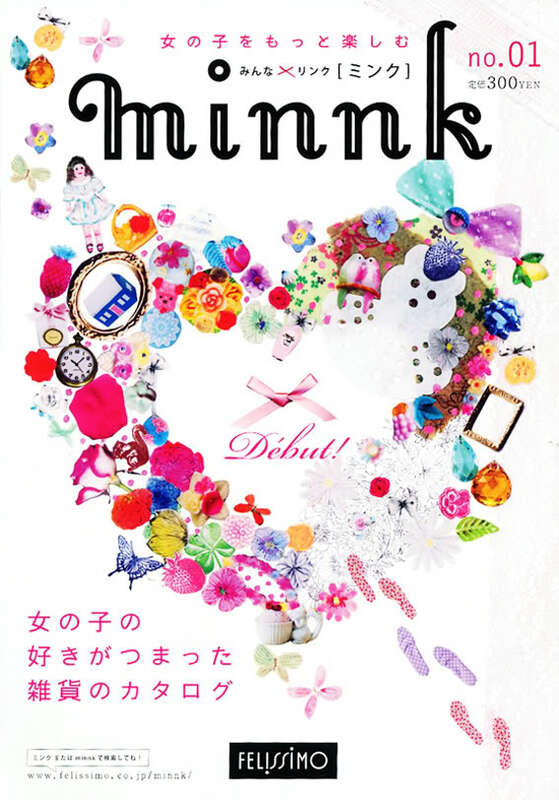 When propositioned with the idea of creating her dream magazine, Bizys bubbles with enthusiasm... and particularities: B5 in size ("it’s sort of a household size here in Japan – not too long, not too fat"); soft matte cover – perhaps 200ish gsm; 85 gsm matte inside paper; four-colour printing; and the design would "make use of lots of white space, incorporate bilingual Japanese and English text, and the layout style would include hand made elements such as handwriting and Polaroid frames." For fledglings wanting to follow in her footsteps, she has these words of advice: "Keep a scrap book of inspiration. 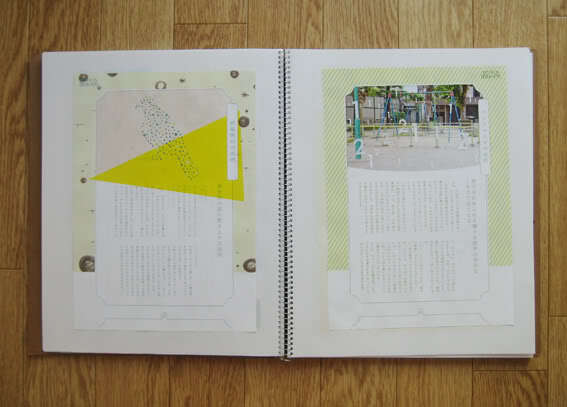 Collect flyers, print out websites and keep it all together in this scrap book. 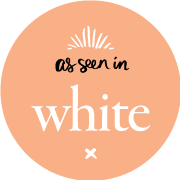 You will know design is your calling when design becomes a part of your life: you find yourself ‘styling’ your dishwashing drying rack (true story), critiquing kerning on street signs, and saving margarine packaging because you ‘like the font’ (another true story). When you are happy as a designer, you won’t believe that you get paid for doing what you love!" Lately JMA is my most visited website – it updates Japan’s earthquake information such as magnitude and Shindo recordings. Unfortunately, this is part of living in Tokyo. Lovely interview! Made me wish I could work at a magazine! I've always loved her work & it was fun to read about all the other wonderful work she's done! You have a talent. Nice post. Glossy Talk: bon appetit, Gwyneth! 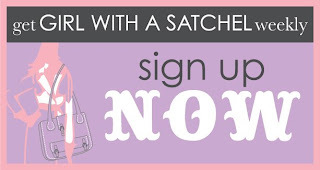 Sponsor Spot: Cherry Pick Me, Cherry Pick Me! Aesthete: Autumnal joie de vivre!